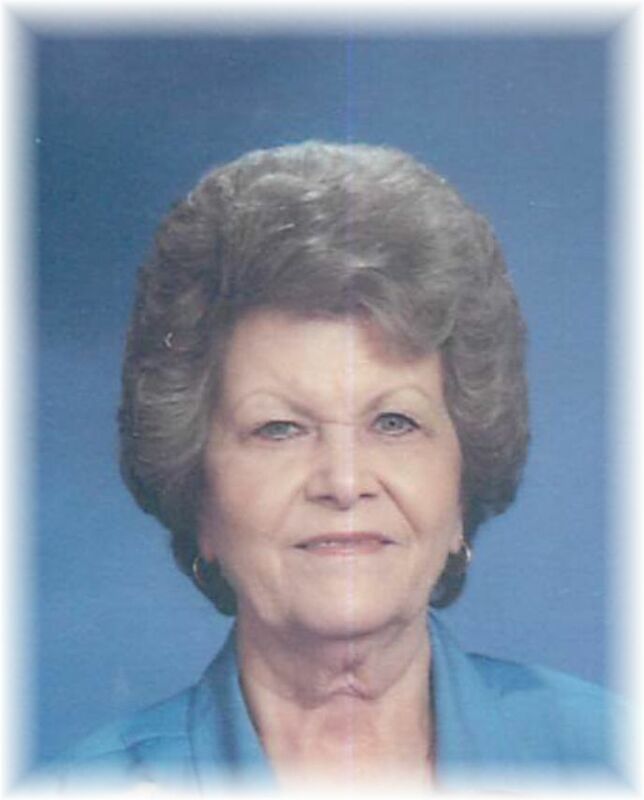 Martha Lou Watkins of Waldron, Arkansas went to be with her Lord and Savior, Wednesday, March 27, 2019 in Waldron, Arkansas surrounded by her loving family. Martha was born August 27, 1935 to James Newberry and Florabel Doughty Newberry. She was 83 years old. Martha was a long time member of Temple Baptist Church in Waldron, Arkansas. As a young woman, Martha met and married her handsome military serviceman, Floyd. They spent the next 57 years together, being friends, companions and partners in everything. They loved to camp and play cards with friends. Martha had riden many miles with Floyd checking cows. Martha was a business woman with experience in various fields ranging from restaurant to fashion to a motel manager. Martha enjoyed crafting, cake decorating, arranging flowers and bow making. She had a knack for decorating any challenge given to her. Martha had a lot of hobbies but her true passion was spending time with her family and taking care of them, making precious memories to last forever. Martha leaves behind to cherish her memory, one daughter, Terri Jones and husband Donald, one son, Mark Watkins, one brother, Dickie Newberry all of Waldron, Arkansas and three sisters in law, Louise Newberry of Waldron, Arkansas, Imogene Newberry of Texas and Louise Newberry of California. Nana will forever remain in the hearts of her grandchildren: Kristy Young and husband Matt, Kelli McCurry and husband Josh, Evan Watkins and great grandchildren, Ashton Young, Logan Young, Raylan McCurry and Clayton McCurry. Martha will be missed by all that knew her and the many whose lives she impacted including a host of nieces, nephews, extended family, friends and loved ones. Martha was preceded in death by her husband, Floyd Watkins, her parents, James and Florabel Newberry, and her brothers: Wando, Charles, Frankie, Jerry and one sister in law, Marcine. Martha's celebration of life service will be 1:00 p.m., Friday, March 29, 2019 at the Heritage Memorial Funeral Home Chapel in Waldron, Arkansas with Rev. Jackie Smith officiating. Interment will follow in the Duncan Cemetery in Waldron, Arkansas. Arrangements are being entrusted to the Heritage Memorial Funeral Home in Waldron, Arkansas. Martha's pallbearers will be Josh McCurry, Matt Young, J.D. Newberry, Rusty Nelson, Dr. S.A. Ahmed and Brent Keener. Honorary pallbearers will be Gary Bell, Fritz Morales, Bill Maxwell, Steve Owens and Grayson Owens. Martha's visitation will be Friday, March 29, 2019 from 11:00 a.m. to 1:00 p.m. at the Heritage Memorial Funeral Home in Waldron, Arkansas.